We are Panthers! We are Proud! We are Powerful! 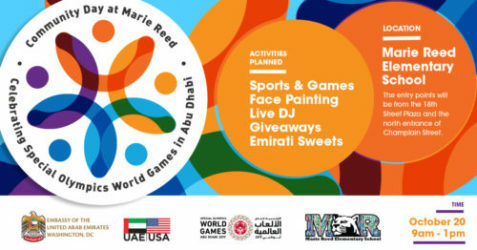 Marie Reed ES is proud to partner with the UAE Embassy to promote the Special Olympics World Games that will be hosted in Abu Dhabi next year! Join us to celebrate inclusion and determination with fun activities in our community!